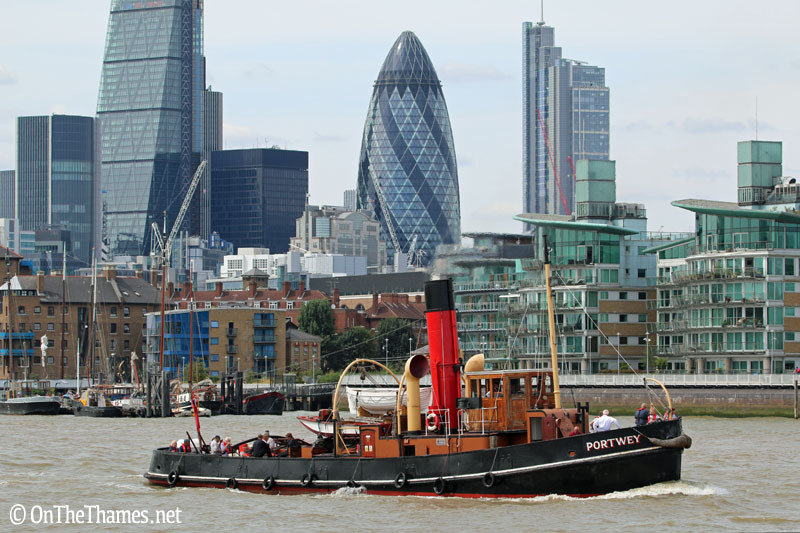 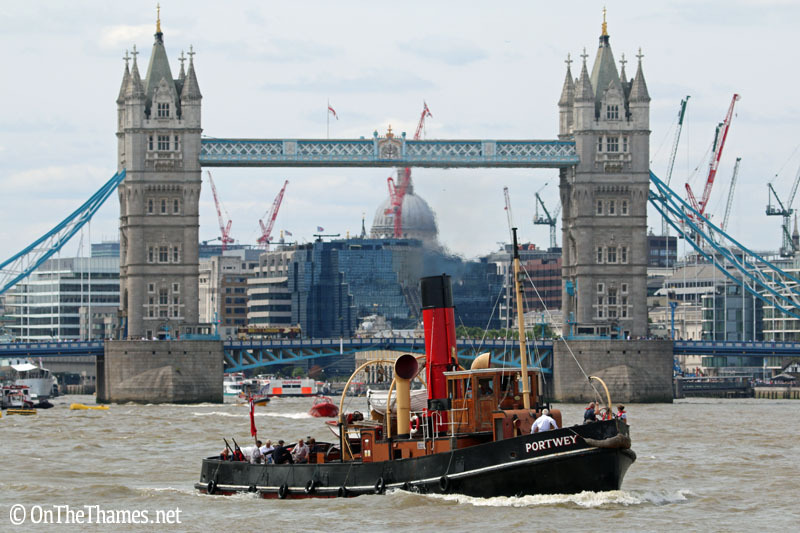 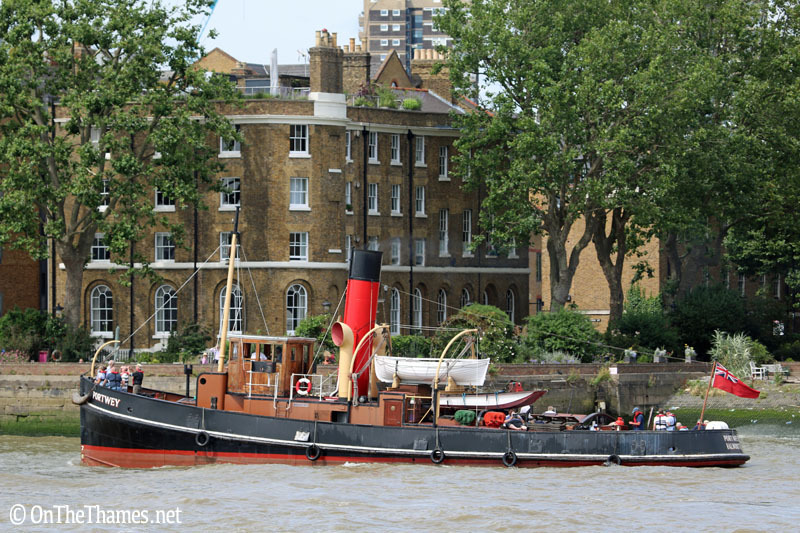 Heritage steam tug Portwey delighted onlookers today as she took to the river with passengers on board. 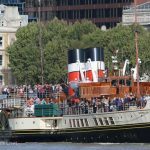 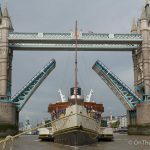 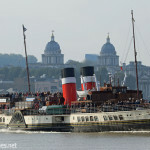 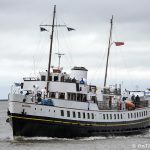 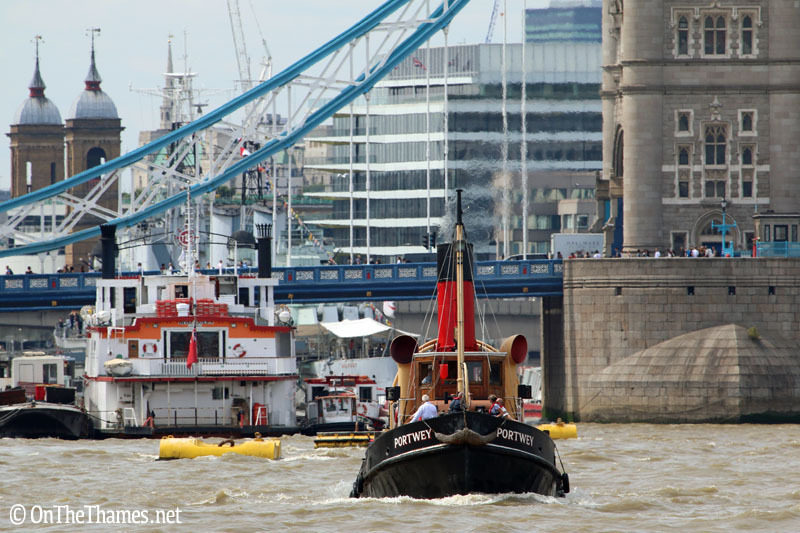 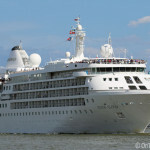 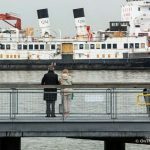 The 1920s built vessel is doing three days of scenic Thames trips, taking passengers from Masthouse Pier up to Tower Bridge, then back down to the Thames Barrier before turning to Masthouse. 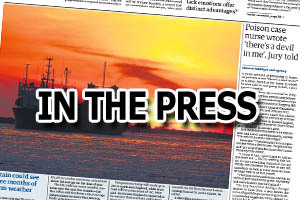 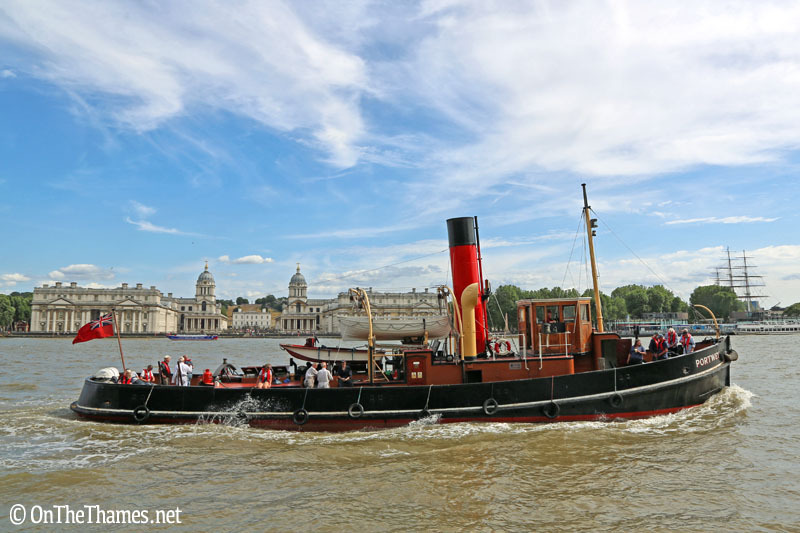 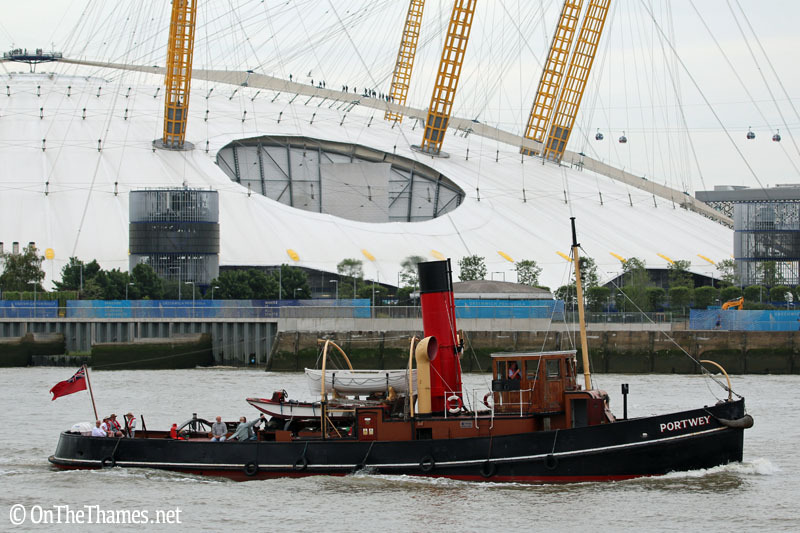 The beautiful tug, built by Harland and Wolff on the Clyde, was captured on camera passing iconic London landmarks. 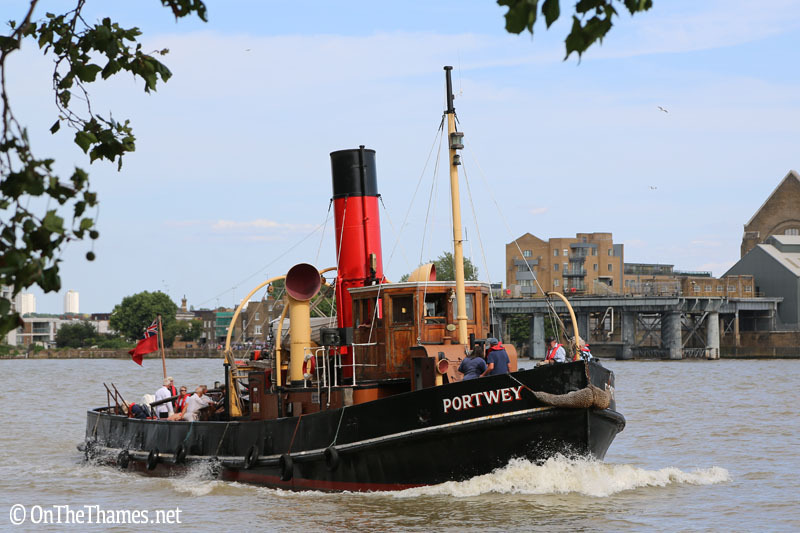 Portwey is the last active twin screw, coal fired steam tug in the country is on the listed on the National Historic Ships register.